The Meguiars Restorer Polish is the newest release by Meguiar's. This blend integrates the DA correction system with microfiber bonnets (used on roto-orbital). This revolutionary system enables painting correction with minimal preparation and absolutely no swirls or holograms, thanks to the use of the new cutting and shining microfiber bonnets. This new formula fixes moderate scratches getting surface virtually ready, with intense gloss. The next step within this DA system is using the D30116 finishing wax; use it on the DMF5 shining microfiber bonnet. 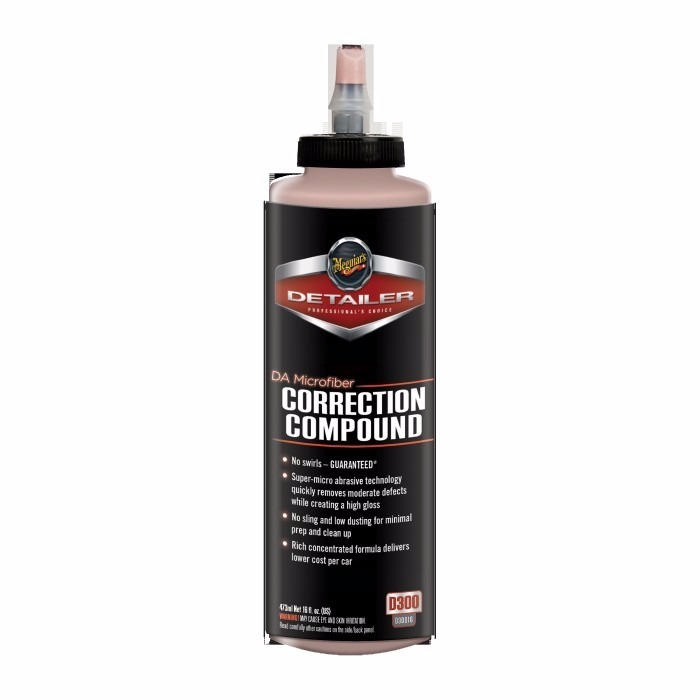 This new DA painting correction system by Meguiar's enable you to fix painting in just 2 steps, using your preferred roto-orbital.